ASUS ROG showed off its latest high-end motherboards for both Intel and AMD systems at CES 2019. 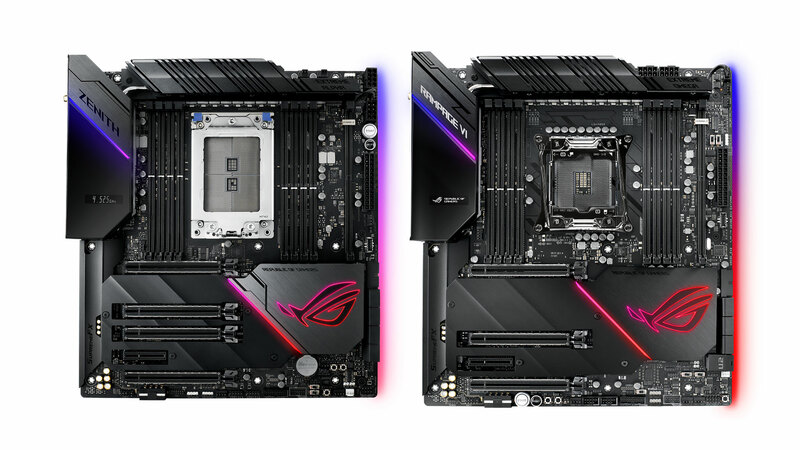 The two motherboards, the ROG Zenith Extreme Alpha and ROG Rampage VI Extreme Omega, are designed for AMD’s X399 and Intel’s X299 chipsets, respectively. 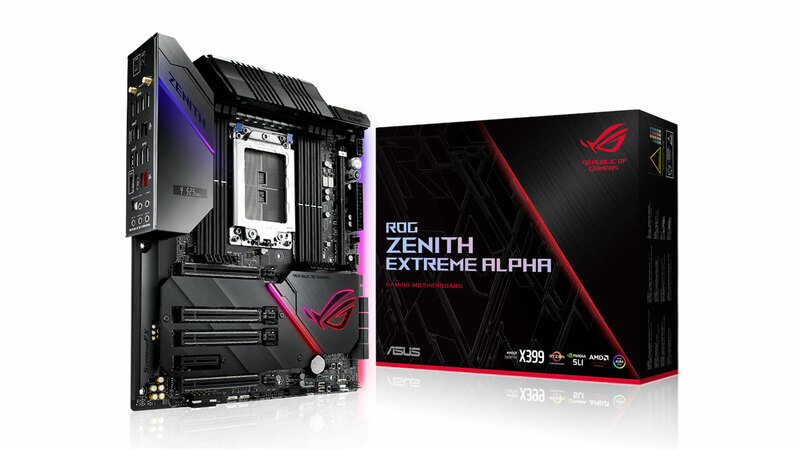 The ROG Zenith Extreme Alpha, for AMD’s latest Ryzen Threadripper processors, features four PCIe 3.0 x16 slots in an x16/x8/x16/8x arrangement with support for up to three-way SLI and CrossFireX, support for up to three M.2 NVMe SSDs (with one on-board PCIe x4 slot and two PCIe x4 slots via a DIMM.2 module), and eight memory slots for up to 128GB of 3600MHz DDR4 RAM in quad channel configuration. It also features eight 6Gb/s SATA ports, one USB 3.1 Gen 2 front panel connector, one Type-C USB 3.1 Gen 2, three Type-A USB 3.1 Gen 2, and 12 USB 3.1 Gen 1 ports. On the other hand, the ROG Rampage VI Extreme Omega, for Intel’s Core X-series processors, has three PCIe 3.0 x16 slots in an x16/x8/x8 arrangement with SLI and CrossFire X support, eight memory slots for up two 128GB 4266+MHz DDR4 RAM in quad channel configuration, support for up to four M.2 NVMe SSDs, support for up to one U.2 port for 2.5-inch NVMe drives. It also comes with six SATA 6Gb/s ports, one USB 3.1 Gen 2 front panel connector, one Type-C USB 3.1 Gen 2, one Type-A USB 3.1 Gen 2, and 14 USB 3.1 Gen 1. 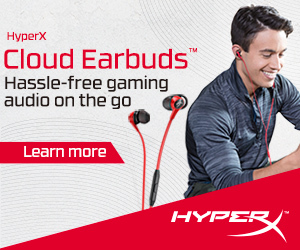 Both of the new motherboards also feature an ESS Sabre DAC with the SupremeFX S1220 codec, both Aquantia AQC-107 10G and Intel Gigabit Ethernet, Intel Gigabit 802.11ac WiFi, a 1.3-inch LiveDash OLED, ASUS Aura Sync RGB lighting, and more. 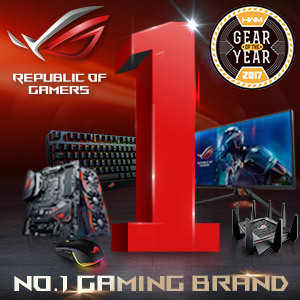 The ASUS ROG Zenith Extreme Alpha and the Rampage VI Extreme Omega will be available by the end of January 2019 at an SRP of PHP 35,790 and PHP 43,400, respectively.